We were delighted yesterday to welcome Les Petits Chanteurs de Saint-Charles from Versailles - a choir of children and young people who use sacred music as a form of evangelisation. The choir sang at the evening Mass, for the feast of Blessed Dominic Barberi. 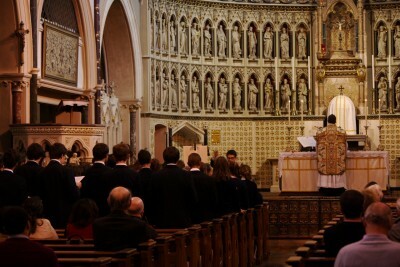 After Mass they gave a short recital, including music by Handel, Palestrina, Bruckner and others. 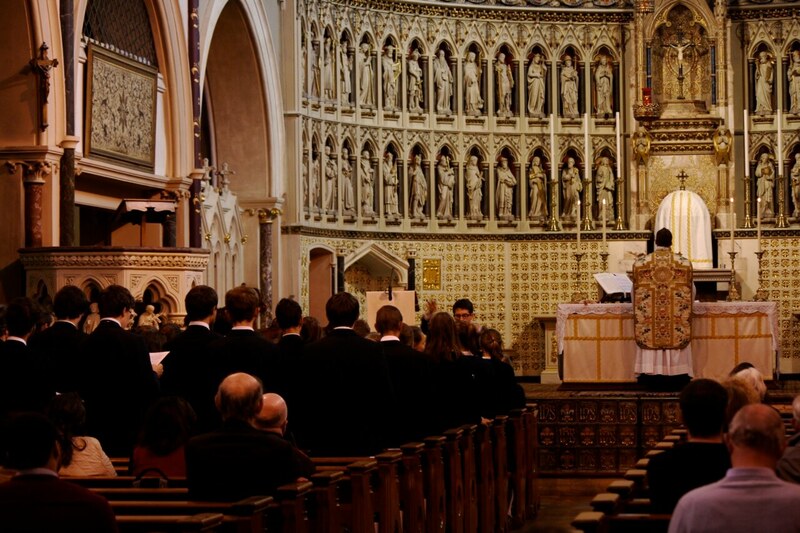 All who heard the choir were extremely edified by their beautiful, reverent, and prayerful singing. 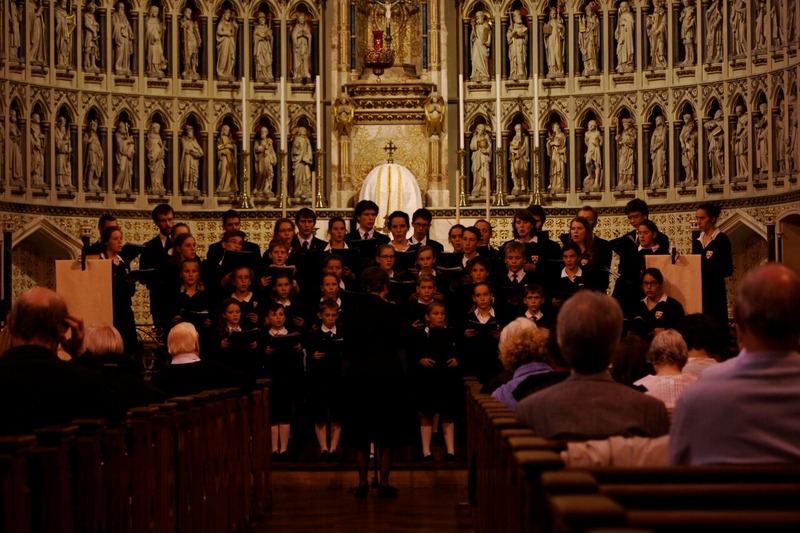 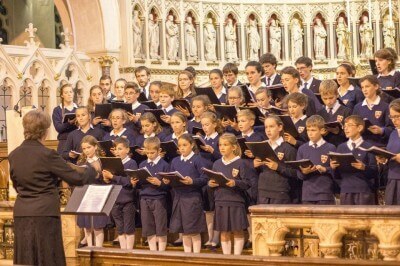 The children’s choir Les Petits Chanteurs de Saint-Charles was founded in 1983 by Father Roger Morandi. Their mission is to sing the Lord and his wonders and to radiate faith and Christian joy. 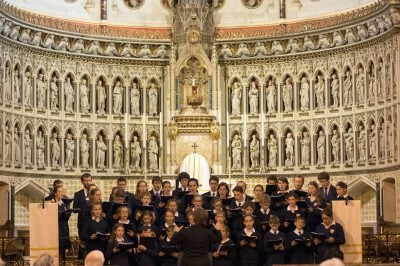 The young singers receive both a musical and a spiritual education for without a living faith, sacred music is reduced to a purely artistic gesture and loses its meaning. 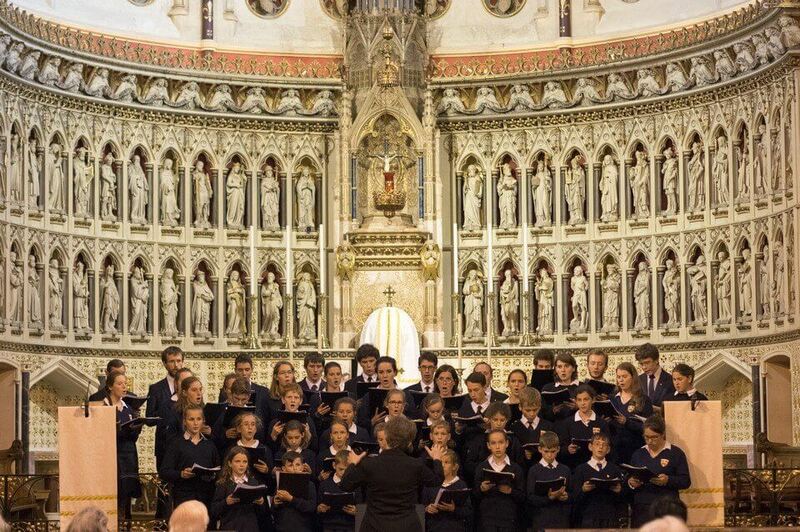 The choir is part of the International Pueri Cantores Federation, a grouping of children’s choirs whose purpose is to praise the Lord through sacred music. 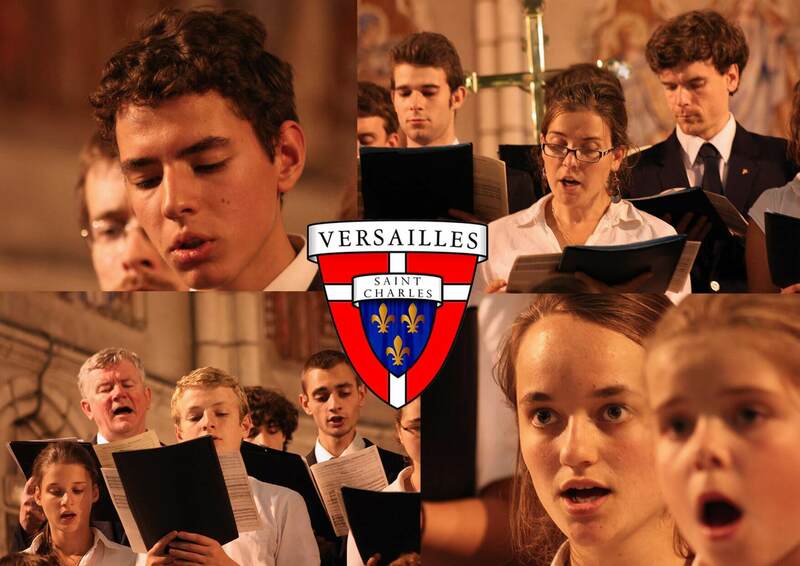 Together with other young singers of the world, Les Petits Chanteurs de Saint-Charles sing the peace of God so that, on Earth, all men of good will live in peace.